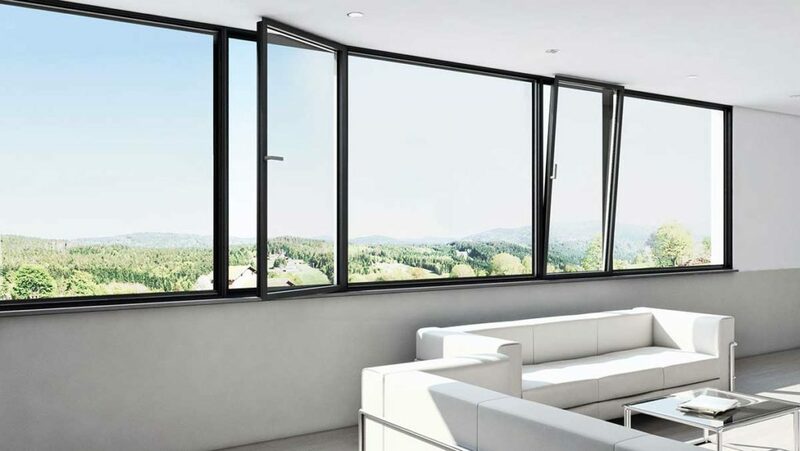 We provide Schuco windows in Epsom, Banstead, Ewell, Ashtead, Cheam, Stoneleigh, Leatherhead, Tadworth, Chipstead, Oxshott, Sutton, Purley, Caterham, Wallington, Kingswood, Reigate, Redhill, Merstham, Fetcham, Bookham, Cobham, Weybridge, Esher and through the surrounding Surrey areas. Get instant online Schuco Windows prices, today! 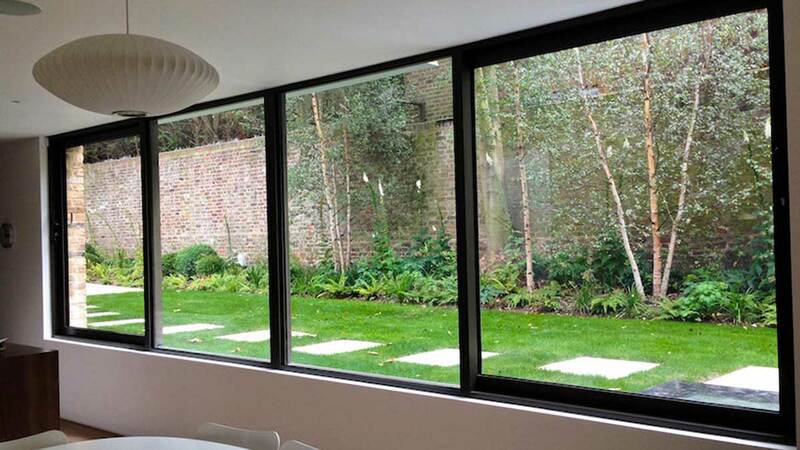 Schuco windows are the best in modern design, bringing a stunning look to any home. 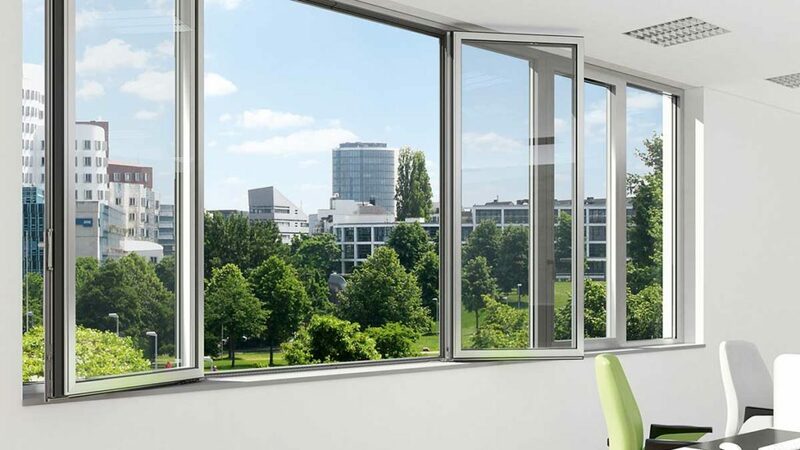 Slim sightlines and a beautiful appearance – these windows are the perfect addition for improving not only aesthetics but performance as well. These profiles have incredible thermal performance. They keep the cold, bitter winter air outside so you can stay cosy and warm in your property. Your comfort and safety is our priority. We use state-of-the-art technology to ensure your home retains heat and keeps the stormy British weather at bay. 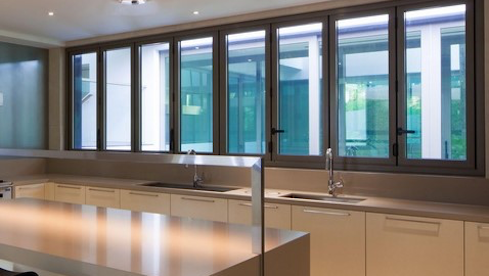 Schuco windows are versatile and adaptable, meeting your specifications. Choose Surrey Bi-Folding Doors as your double glazing installation company. We as a company understand that you want windows that match your personality as well as your property’s aesthetics. With our extensive colour range, you can bring a personal touch to your Schuco profiles with ease. The Schuco windows offer a range of designs and handles, so you’re able to have the full customisation options that you have always dreamt of. These profiles are perfect for any home, new or old, to bring a modern edge to your property and to make it the style that you have always dreamt of. There is even the option to have your windows either mechanical and electronically opening. Whatever you want for your home, we can provide. Get in touch for more details about Schuco windows customisation options. It is vital that everyone feels safe and secure in their home. 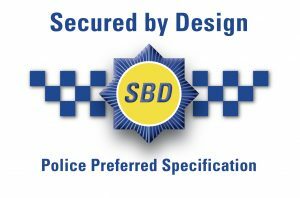 That is why we ensure incredible security as standard with each installation of a Schuco Window. These profiles are not only visually appealing; they will protect you from rain, wind and even potential threats. With a multipoint locking system as well as lockable handles, you can rest easy knowing that you and your family are protected from intruders. All locks meet and even exceed the standards set in the industry to ensure every customer’s safety when having Schuco windows installed. Our profiles reach maximum insulation values with U-values from 0.8-1.6. Save money on your energy bills with the installation of Schuco windows. You will also be working to reduce your carbon footprint and improve your impact on the environment. Get in contact today for more details. Effortlessly close your Schuco windows. Weather sensors automatically shut all profiles when it senses bad weather. Heavier profiles can be opened and shut at the touch of a button. 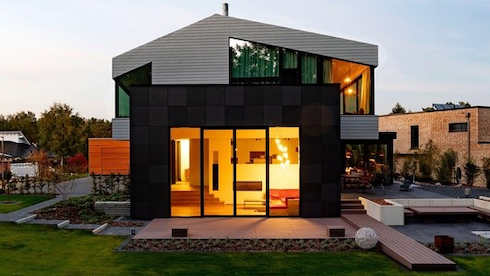 Bring easy living to your home with the installation of these windows. Sensors are built into our Schuco windows so that you can efficiently ventilate your home without even having to think about it. Gone are sleepless nights when you don’t want to leave the window open overnight. Say hello to comfort all year round. Schuco windows are a worthwhile investment as they will save you money in the long run. We offer these profiles at competitive prices. With this installation, you will be reducing your energy bills as they provide comfort for your property. We here at Surrey Bi-Folding Doors believe that every customer should have a quick installation that causes minimal hassle. We work hard not to interrupt your life as much as possible. Get on with your day to day life when you choose us as your double glazing installer. With incredible thermal performance comes increased sound insulation. 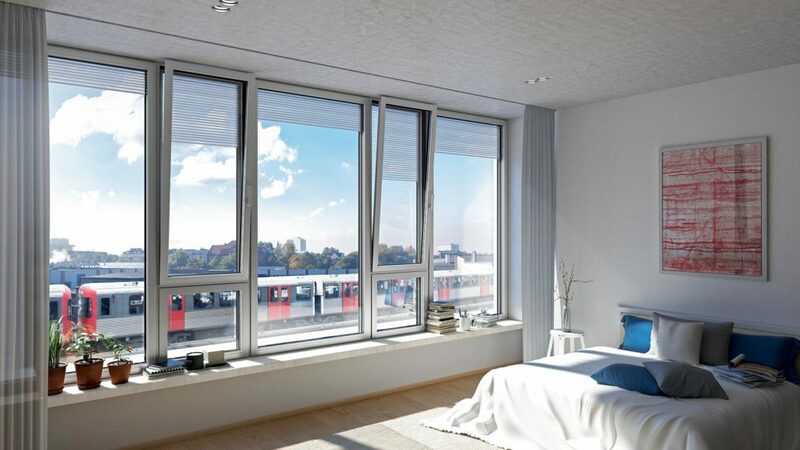 Schuco windows are perfect for those who live in built up and busy areas. Your property will remain peaceful and quiet as your new profiles block out the unwanted noise. We as a company know that the most important aspect of any installation is the cost. We don’t want you to break the bank, so we offer these profiles at incredibly competitive prices. If you would like to find a Schuco windows quote then use our online quoting engine. Just enter your specifications and measurements, and we’ll tailor a price estimation to you. If you would like more information about our Schuco windows or any other products and services we offer, please fill out our online contact form. A friendly and helpful expert will get back to you as soon as possible. We are happy to answer any questions you may have regarding our profiles and our installations. We offer our services in Epsom, Banstead, Ewell, Ashtead, Cheam, Stoneleigh, Leatherhead, Tadworth, Chipstead, Oxshott, Sutton, Purley, Caterham, Wallington, Kingswood, Reigate, Redhill, Merstham, Fetcham, Bookham, Cobham, Weybridge, Esher and through the Surrey areas. Step by step process taking you through the customisation. Competitive prices from the comfort of your own home. Tailored to your specifications for cost-effectiveness. We install bi-fold doors in Epsom, Banstead, Ewell, Ashtead, Cheam, Stoneleigh, Leatherhead, Tadworth, Chipstead, Oxshott, Sutton, Purley, Caterham, Wallington, Kingswood, Reigate, Redhill, Merstham, Fetcham, Bookham, Cobham, Weybridge, Esher and throughout Surrey.